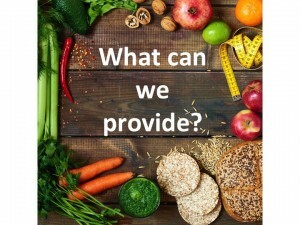 Whether it be for the students or staff, why not seek the support of a qualified Accredited Dietitian from Nutrition Strategies. One of Nutrition Strategies’ dietitians can come to your school and help educate students or staff about nutrition. We can translate the science of nutrition into easy to understand every day information incorporating practical elements and hands-on learning to improve retention of this vital information. Understanding and skills in healthy eating and nutrition can help influence healthy behaviour changes and ultimately lead to a happier and healthier life. What information could we cover? What is healthy eating? How can you incorporate this into your daily living? Professional Development session with Trinity College health and PE staff. “Stephanie from Nutrition Strategies has been working with Trinity College over several years. She has assisted us in a range of areas across the whole college, from running practical cooking classes with our Specialist Netball Academy, presentations on sports nutrition and healthy eating to Senior Health and PE classes, consultation on curriculum development (Australian Curriculum from 7-10, SACE Stage 1 & 2) and staff training and PD. 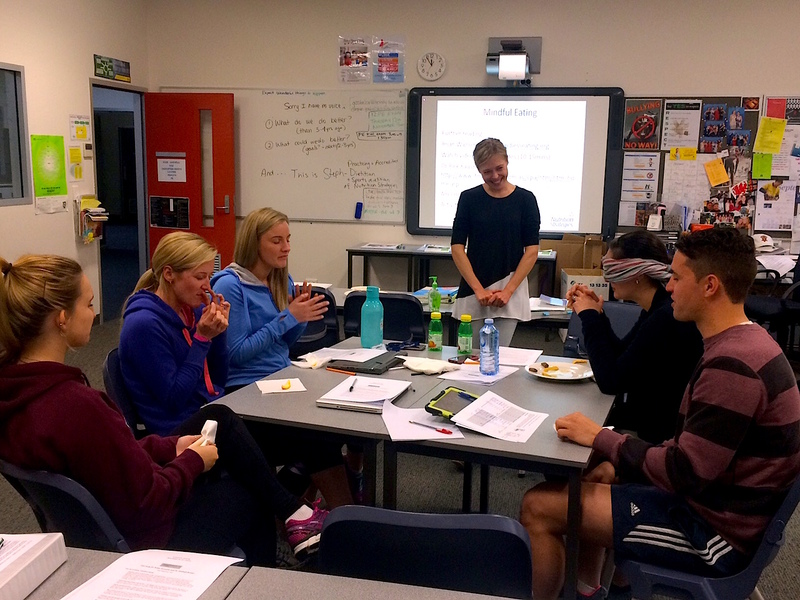 Stephanie has delivered informative and hands-on sessions that have allowed our athletes, students and staff to develop improved understanding and healthy habits regarding food. Stephanie has delivered a number of sessions on healthy eating, food label reading, portion sizing, food myths and more to our Stage 1 & 2 students since 2011/2012. These sessions involved some basic information adapted for the 16-18 age group which were all then put into a practical context with a number of hands on activities and discussions to encourage student engagement and maximise learning. Students were all provided with some basic factsheets and copies of PowerPoint presentations delivered. Stephanie also provided me with further activities and extension ideas for students to continue with in lessons following her sessions. Students were able to ask a variety of questions following the presentations and their course work on nutrition definitely benefitted from her visits. With the new curriculum providing an opportunity to refresh and expand our Middle School Health program, it was a blessing to have a professional input to the nutrition element. Stephanie was able to work with me in deciding the key skills and knowledge to be delivered at each year level. She was then able to assist me in producing a unit of lessons, including theory content, activities and resources which we have now implemented at Trinity in 2015.